Looking for a video downloader that is easy to use with great professional features? Look no further than AllMyTube Video Downloader from Wondershare. 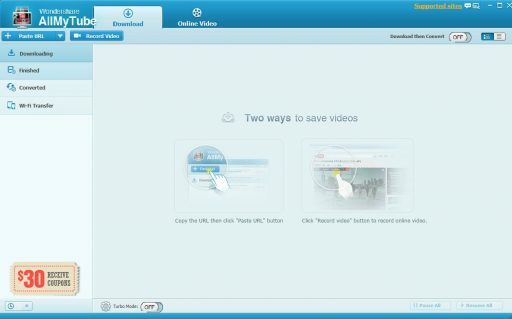 AllMyTube allows users to download videos from a number of popular video sites, including YouTube, Facebook, Vimeo and more. Grab entire YouTube playlists with batch downloads, including HD videos in 1080p and 4k. The process is easy to learn and takes no time at all. Simply download the software and use your browser to navigate to the video site you would like to use. Click the Download button that appears on the top of the video in your browser, copy the video address and click the Paste URL button to download, or drag and drop the URL onto the icon and AllMyTube does the rest. The video is analyzed in the program and saved on your computer. If you need a certain video in a different format, AllMyTube has included the ability to convert videos to 150+ formats for iPhone, Android and other various multimedia devices. You can even record a screen or any video from online websites. 1. 3X Faster Powerfull Video Downloader, Quick and Easy! 2. Download YouTube HD videos（even 1080p HD and 4k videos）and YouTube 3D videos. 3. Download YouTube high bit-rate MP3 in one-click. 4. Download videos 3X faster with task scheduler. 5. Download and convert videos in one-click. 6. Transfer video to mobile phone without USB cable. 7. A built-in video player to play videos. 8. It works seamlessly with common browsers such as chrome, firefox and IE. 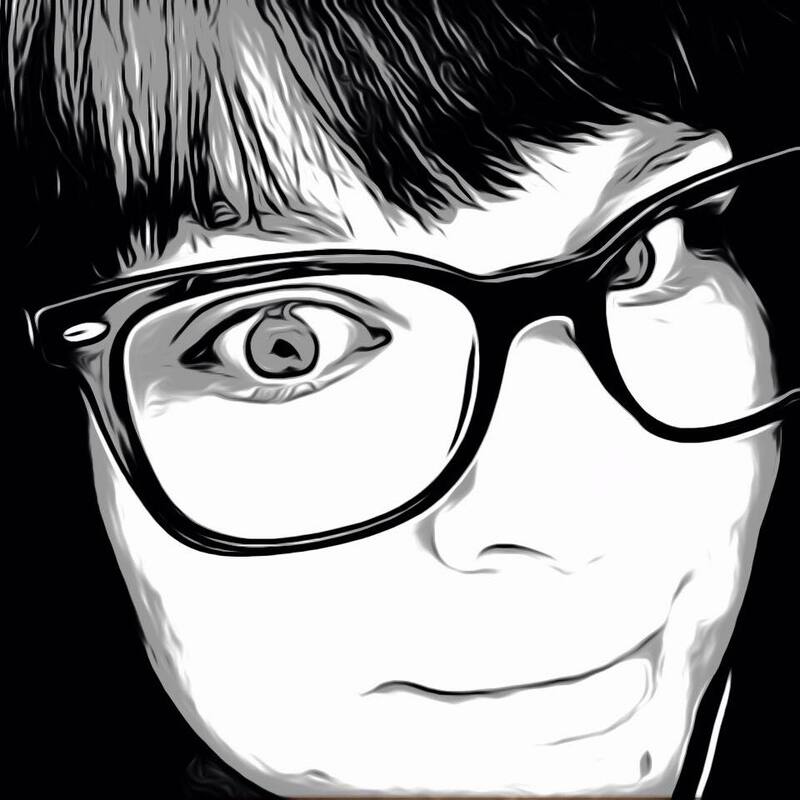 The screenshot feature deserves special mention, as it is a superb way of expanding the utility of the app, and will be especially important for content creators to use as a vital tool in the program’s repertoire. By far my favorite feature is the ability to transfer media to my mobile phone. The best part of the process is there are no chords required! 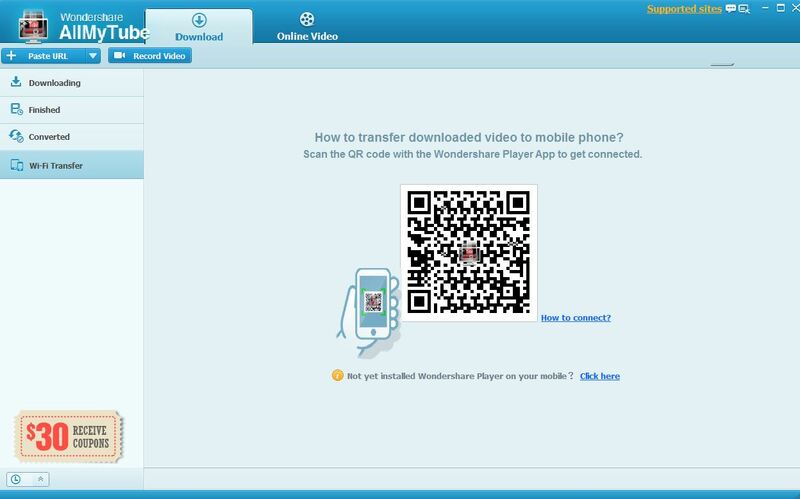 By downloading the Wondershare Player from the App Store you can add your newly acquired vids to your phone via WiFi. Want the audio as an mp3? No worries, AllMyTube does that too! So much simpler than the headache that is syncing with iTunes. 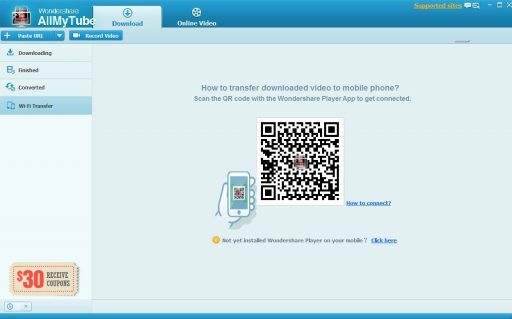 AllMyTube Video Downloader is available now from wondershare.com and also offers a free trial. Download it today and experience unlimited access to media like you never have before.